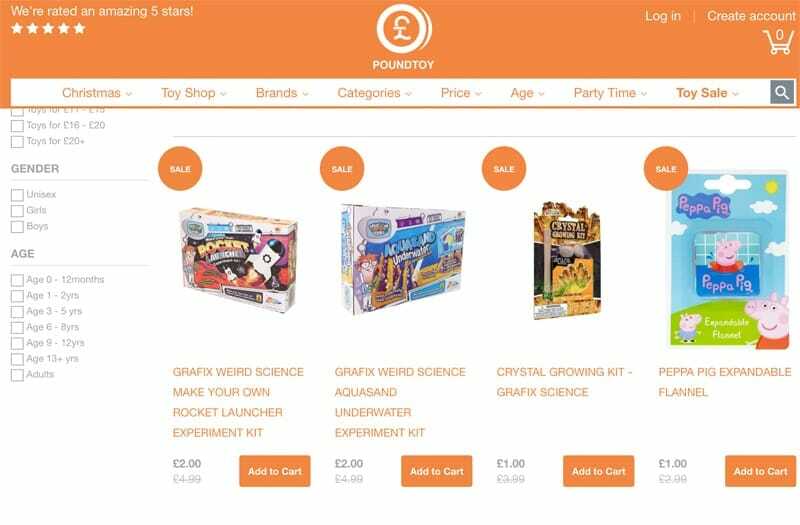 Poundtoy might not be one of the most well known websites for toy deals, but we’ve had some great bargains from them, which is perfect for low priced stocking fillers for Christmas. The Poundtoy Big Toy Clearance Sale has some good bargains from just 25p. In the lead up to Christmas you can also save an EXTRA 10% off already low toy prices with the code XMAS10, which you can use at checkout. 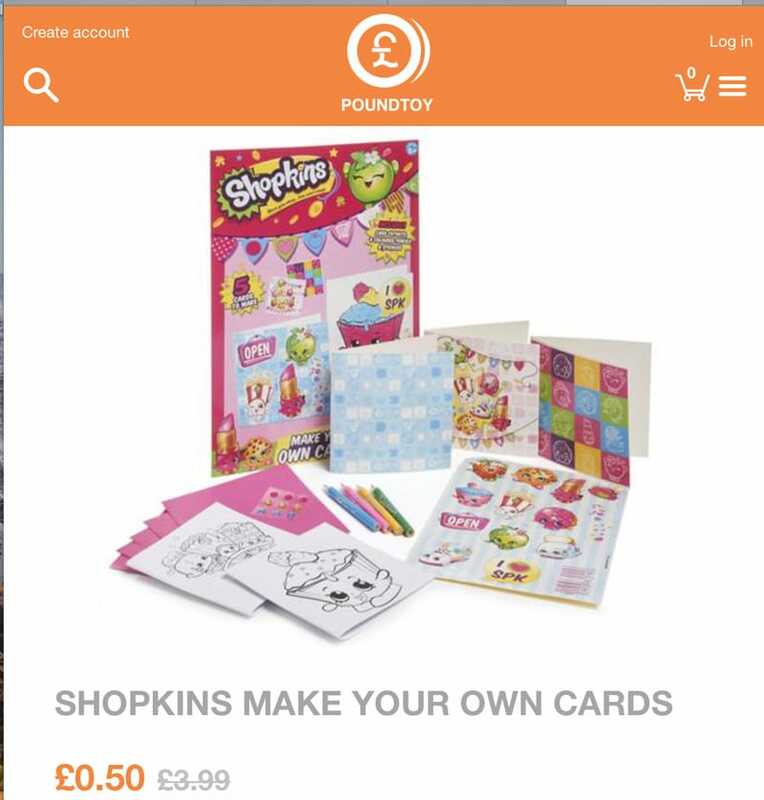 There’s a few hundred toys with up to 75% off in the toy sale, for example this Shopkins Make Your Own Cards set is selling for just 50p reduced from £3.99 at the time of publication. Take a look at all the deals in the Big Toy Sale online at Poundtoy.